Laura Daniels, Esq. is dedicated to providing legal services in the area of family law to clients requiring representation in a sensitive, caring manner, at an affordable rate. Ms. Daniels has represented families in crisis since 2004. She understands that your family is what is most important to you. 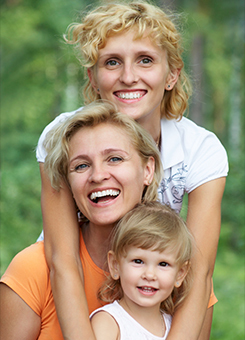 Ms. Daniels will represent you by taking into consideration the unique needs of you and your children. Divorce – She will guide you through the process of negotiating a settlement or litigating in court, when necessary. Child Custody, Visitation and Parenting Plans – She will help you to understand the different types of custody arrangement so that you can decide what is right for your family. She has successfully litigated custody cases, when parents cannot come to an agreement about what is best for their children. 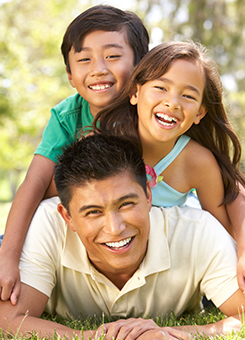 Even when parents agree on custody of their children, there are often issues of how to ensure that both parents remain actively involved in their children’s day-to-day lives. Ms. Daniels will help you to formulate a unique plan that works for your family and has the flexibility to accommodate the changing needs of your children. Child Support – Ms. Daniels can help you to file a petition in family court if you are not receiving financial assistance from the parent of your child, or to help you enforce or modify an existing child support order. Ms. Daniels is also experienced in defending parents charged with child support to ensure that the order of support is correct, based on your current financial circumstances. Domestic Violence – Ms. Daniels can help you to obtain an Order of Protection, temporary child custody and support in family court on the same day. She is also experienced in representing clients in defending against claims of domestic violence or in modifying existing Orders of Protection to allow for visitation, obtaining personal property or the dismissal of Orders of Protection. Annulments – Ms. Daniels can assist you in obtaining an annulment. Grandparent Visitation – Ms. Daniels can assist you in obtaining visitation with your grandchildren.